I worked at this pub for the spectacular duration of a fortnight. I had unceremoniously left Wheelers Restaurant as a cocktail barmaid at the Sheridan Hotel at the bottom of West Street and, too proud to go home, sat on my suitcase in West Street and trawled the pubs for alternative employment. It was during the Beaujolais Nouveau launch of 1986 – great fun. I lived around the corner in Nile Street and in the 1960s I would be given a couple of pennies to buy a Forfars custard tart as a special treat ( more expensive than other bakers but worth it ). When I was old enough to be taken to pubs The Pump House was similarly a place for a special event. Its good to see these two long established businesses in lovely Georgian buildings surviving amidst a flood of “bistros” and “theme bars” but what happened to Forfars swinging sign and when did The Pump House acquire the Dickensian coaching inn lantern? 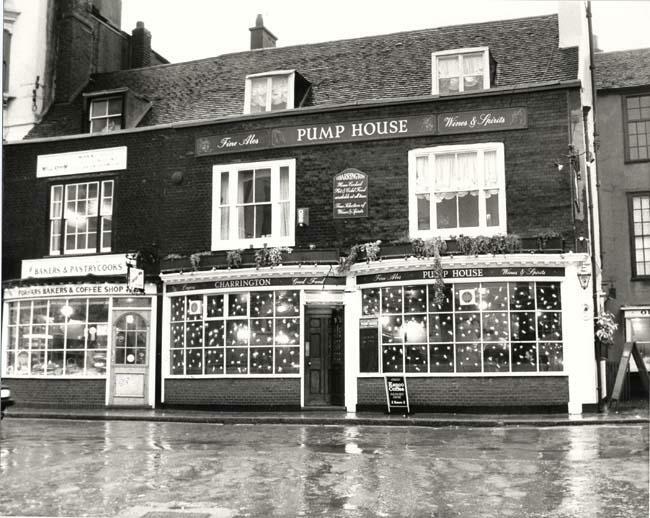 I have read in Tim Carder’s Encyclopaedia of Brighton that the Pump House was named after the town well that was near the Knab (which would have been near the existing Pump House today). 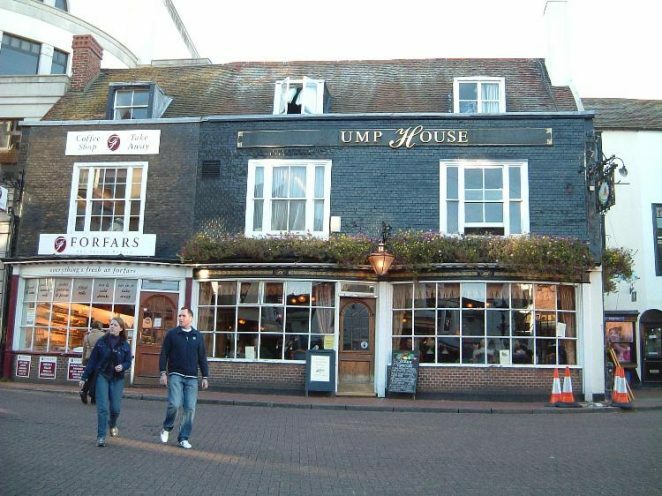 But after visiting the Turner Exhibition at the Pavilion last night where there were drawings of the Pump House that was situated on the beach near the bottom of East Street, I am wondering if the pub was actually named after this and not as Tim Carder says. Does anyone have any thoughts on this?